Amsterdam is known for museums, nightlife, parks, breweries, and historic sites. 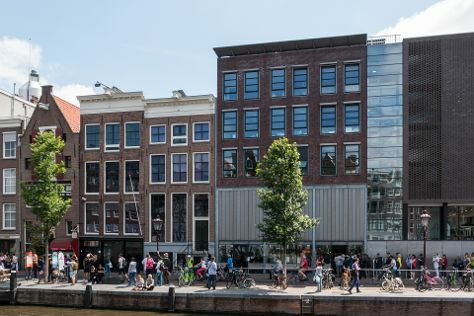 Your plan includes some of its best attractions: make a trip to Anne Frank House, wander the streets of The Jordaan, admire nature's wide array of creatures at ARTIS, and admire the masterpieces at Van Gogh Museum. For traveler tips, other places to visit, and other tourist information, read our Amsterdam road trip planning website . Lahore, Pakistan to Amsterdam is an approximately 16-hour flight. Traveling from Lahore to Amsterdam, you'll gain 4 hours due to the time zone difference. Prepare for colder weather when traveling from Lahore in September: high temperatures in Amsterdam hover around 22°C and lows are around 13°C. Wrap up your sightseeing on the 23rd (Sun) early enough to travel to Prague. Prague is known for historic sites, nightlife, museums, fun & games, and zoos & aquariums. Your plan includes some of its best attractions: don't miss a visit to Charles Bridge, take in the architecture and atmosphere at St. Vitus Cathedral, contemplate in the serene atmosphere at Kostel Panny Marie Pred Tynem, and take a stroll through Old Town Square. To find where to stay, other places to visit, photos, and more tourist information, go to the Prague tour itinerary planner. Traveling by flight from Amsterdam to Prague takes 4.5 hours. Alternatively, you can do a combination of train and flight; or drive. September in Prague sees daily highs of 22°C and lows of 12°C at night. Finish your sightseeing early on the 26th (Wed) so you can travel to Budapest. Kick off your visit on the 27th (Thu): get a sense of history and politics at Parliament, don't miss a visit to Hősök tere, then examine the collection at House of Terror Museum, and finally contemplate in the serene atmosphere at St. Stephen's Basilica (Szent Istvan Bazilika). On your second day here, appreciate the extensive heritage of Janoshegy, take in the spiritual surroundings of Matthias Church, and then steep yourself in history at Fisherman's Bastion. For traveler tips, other places to visit, reviews, and other tourist information, read our Budapest trip planning tool . You can fly from Prague to Budapest in 4.5 hours. Other options are to drive; or take a bus. September in Budapest sees daily highs of 25°C and lows of 13°C at night. On the 28th (Fri), wrap the sightseeing up by early afternoon so you can travel to Rome. On the 29th (Sat), ponder the design of Trevi Fountain, don't miss a visit to Roman Forum, then don't miss a visit to Piazza Navona, then take in the architecture and atmosphere at St. Peter's Basilica, and finally contemplate the long history of Colosseum. To see photos, maps, traveler tips, and other tourist information, read Rome tour planner . Traveling by combination of flight and train from Budapest to Rome takes 5 hours. Alternatively, you can fly; or drive. Plan for a bit warmer temperatures traveling from Budapest in September, with highs in Rome at 32°C and lows at 18°C. You will have some time to spend on the 30th (Sun) before leaving for Florence. Start off your visit on the 30th (Sun): take in the spiritual surroundings of The Baptistery of St. John and then explore the world behind art at Uffizi Galleries. Get ready for a full day of sightseeing on the 1st (Mon): contemplate in the serene atmosphere at Cathedral of Santa Maria del Fiore, get to know the fascinating history of Piazza della Signoria, admire the masterpieces at Pitti Palace, then don't miss a visit to Piazzale Michelangelo, and finally take in the views from Ponte Vecchio. For more things to do, photos, ratings, and other tourist information, read our Florence trip itinerary tool . Getting from Rome to Florence by train takes about 1.5 hours. Other options: drive; or fly. In September, plan for daily highs up to 30°C, and evening lows to 17°C. Finish your sightseeing early on the 2nd (Tue) to allow enough time to travel to Paris. Kick off your visit on the 3rd (Wed): admire the landmark architecture of Louvre Museum and then examine the collection at Musee d'Orsay. Get ready for a full day of sightseeing on the 4th (Thu): contemplate in the serene atmosphere at Cathédrale Notre-Dame de Paris and then enjoy breathtaking views from Eiffel Tower. 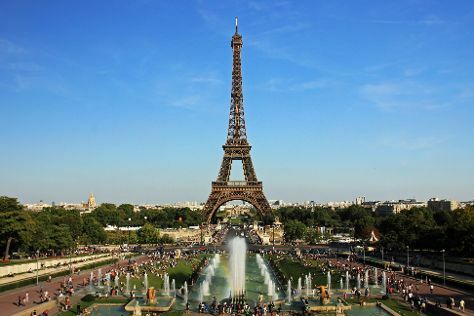 To find other places to visit, traveler tips, photos, and other tourist information, go to the Paris online day trip planner . You can do a combination of flight, bus, and train from Florence to Paris in 5 hours. Alternatively, you can fly; or drive. Traveling from Florence in October, things will get a bit cooler in Paris: highs are around 19°C and lows about 10°C. Finish your sightseeing early on the 4th (Thu) to allow enough time to take a train to Amsterdam. To see ratings, photos, where to stay, and other tourist information, read Amsterdam vacation maker app . Traveling by train from Paris to Amsterdam takes 3.5 hours. Alternatively, you can fly; or drive. On the 5th (Fri), you'll have the morning to explore before heading back home.